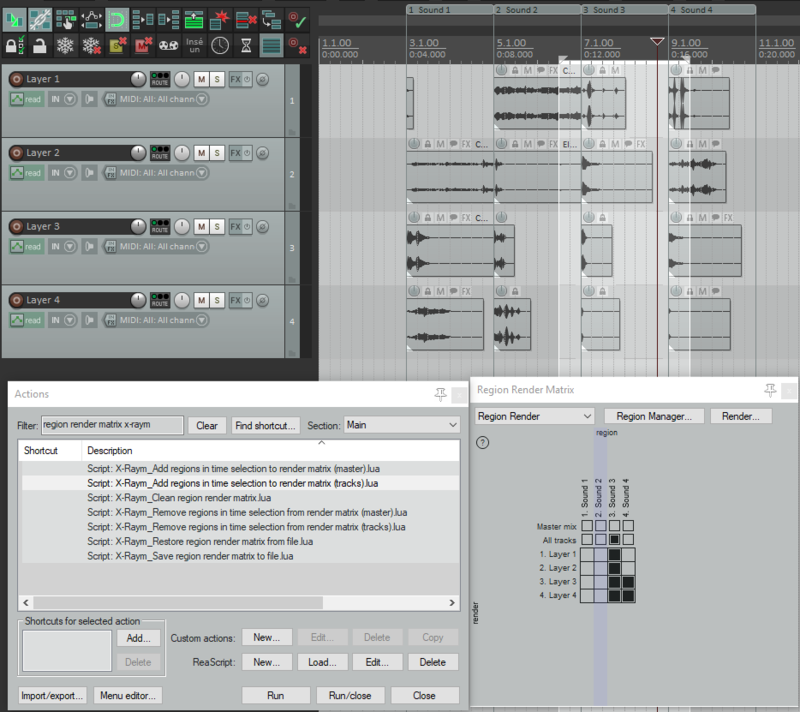 The Region Render Matrix is one of the most valuable REAPER feature for game audio, sound design, sample library creation, and sample-based virtual instrument editing. Thing is that there are only a few actions related to this feature, and only 4 are available on the action list. 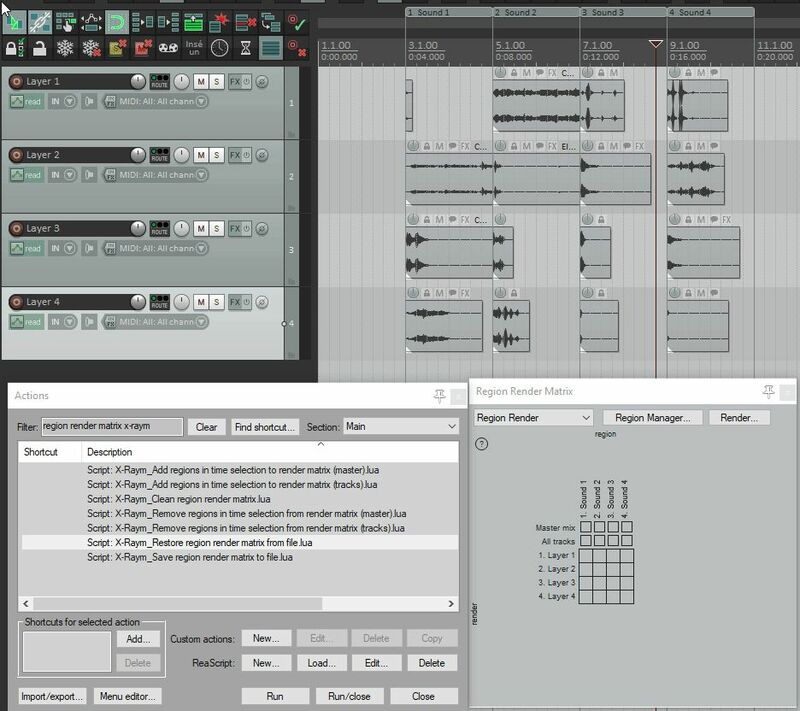 For advanced workflow with the RRM, you can check the ReaperBlog/Christopher Tammik video: Advanced Game Audio SFX Render Workflow. Various scripts of the pack in action! This script allows to remove unwanted RRM entries. 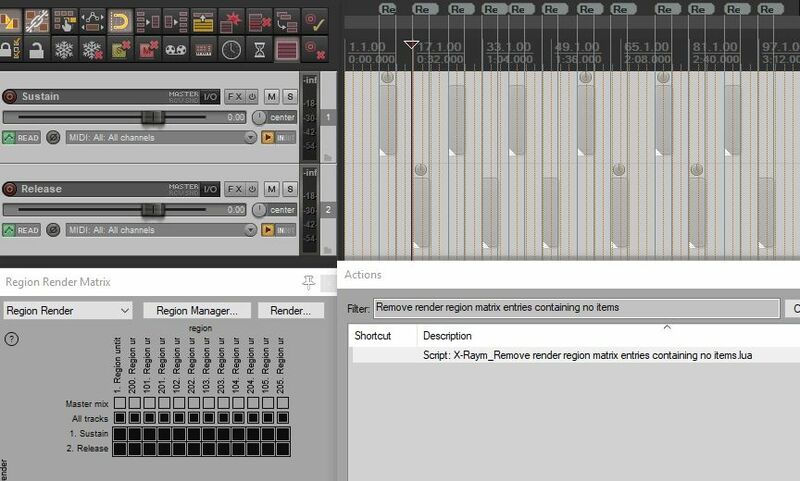 Add regions matching names filter and time selection area (facultative). Thanks schapps for initial sponsor!